One is the day boat, travelling with the Sun as it gives us the 12 hours of Light. The other one is the night boat, which holds the key of the Moon's heart, and it guides us through the time of darkness, until the ancient Sun crosses again. "The Image above is an artist impression" Ancient sun and moon. Many people have the idea that the ancient Egyptians believed in Ra as a sole god, which could not be further from the truth. 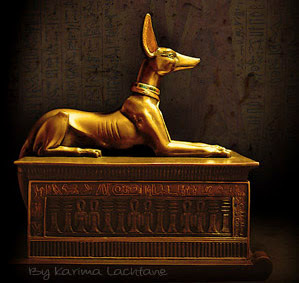 Ra is one among many gods and goddess, but indeed he is the First Lord of our Earth. The Two Eyes of (Ra) is made up by the Sun and Moon and together they are the ancient sun and moon, one sees all at day and one sees all at night. Each they had a boat sailing in the celestial waters, in the day hours and in the night hours. 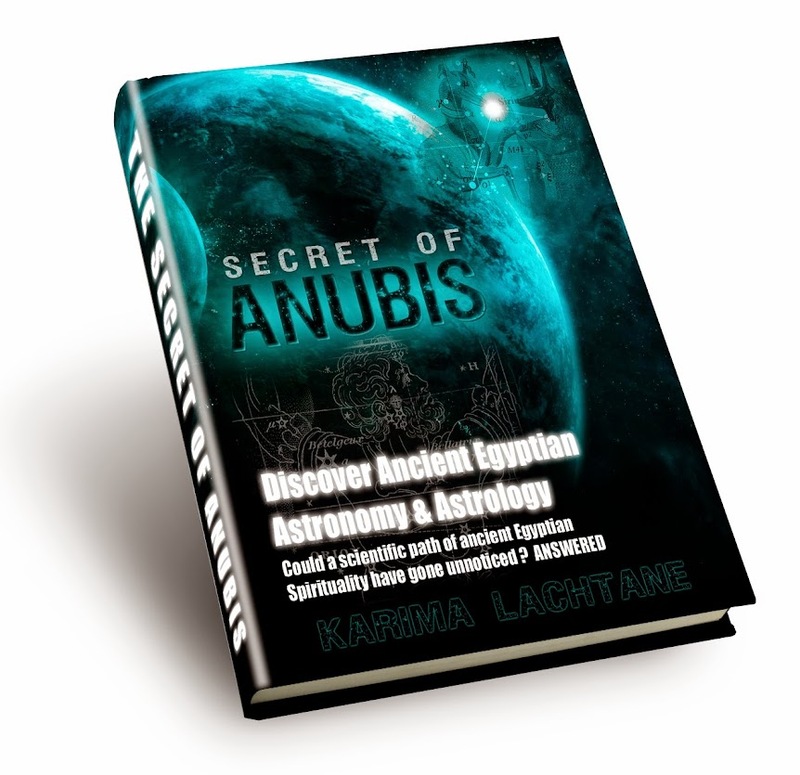 The ancient Moon was called Aah or the Wadjet /(Udjat) Eye. The Moon-god appears as a man in the archaic form of Ptah, Min, Osiris and many more. On his head is the young moon with the old one in his arms. He wears the lock a hair of youth, and a cobra above his forehead etc. The boat he sailed in was called the 'Boat of a million years'. It brought back the Udjat Eye. One known creation theory that survives from the ancient day of Egypt is about Ra and the two eyes. This story is furthermore interesting, because it gives the idea that Ra might not be the Sun – Ra himself said this "I became from one god, three gods." From the great dark blue water of the celestial abyss, Ra existed there before anything else. Alone he floated around the great celestial sea, before he thought about creation and willed his own physical existence. From his spit came the creation of Shu who became the god of air, and Tefnut, who became the goddess of mist. As Ra was blind in the celestial sea, he created an eye 'the power of vision/to see.' He sent this eye forth to seek his two children, who also floated in the celestial sea. When the eye returned, it saw that Ra had replaced it with another eye, and the (first) eye became very angry. Ra had to make peace/balance, he gave the first eye more power than the second eye. But now Ra had two eyes, he therefore made one eye the eye of the Sun, and the other eye the eye of the moon. Later on in ancient Egypt, Horus and Ra became more entangled, and other myths came out of this association, such as the Eye of Horus. All of Seth's aggression was placed upon this eye during his battle with his nephew Horus. "When the Red god (Seth), using his magical powers of deception, had captured the eye, he threw it into the darkness beyond the edge of the world. Thoth, who had been watching the fight and who was the guardian of the Moon, observed where it fell and went to fetch it. When Thoth found the eye, it was in pieces, but he located them all and put them together to form a full Moon and thereby restored the night light." 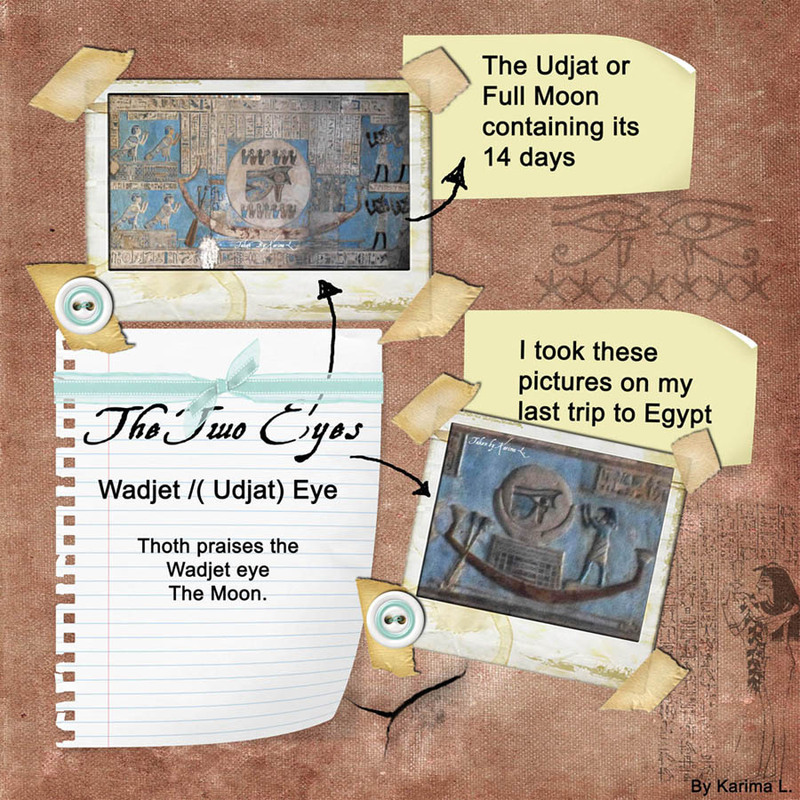 This eye was called the Wadjet and ancient Egyptians could take the eye apart into its pieces. I'm no Egyptologist, but isn't your picture backwards? What I mean is from what I have read the right eye is usually the 'Eye of Ra' and is red and the left is the 'Eye of horus' and is blue. Again, the issues seem to be very confused, and then you can also debate whether the definition I read was as one looks at the eye, or which eye it would be if on a face. I am sorry to hear that you found this blog post confusing, it is probably due to the Egyptologist approach which you are taking to the image alone. The picture (image) is an artist impression, as I am an artist too. So you should not see it with an Egyptologist eyes, not this image. But if you read more of what I have written, then you will begin to see that in some cases I use the artist impression artwork form, while at other times I stick to a fact around a curtain object or whatever I am writing about. But in this case, it was merely to illustrate a sun and Moon and its connection to the eyes. What was important in this post (like all the other posts) is the text, the history. Actually the two Eyes are really the two eyes (Sun and Moon) of Ra (older history, and brings up questions in regards to Ra being the sun), in late Egyptian time, towards the beginning of the Greeks, Horus was seen solely as the eye. Interpretations are change through time, just like today. I have never heard that Horus was the moon and that he was blue? Horus is more known as being red and I see him as being more connected to the Sun. Osiris on the other hand is more connected to the moon. As you can see, very complex indeed. The indications to Ra not being the sun, is just a thought that I present Because if the sun and moon is Ra's eyes, then how can he be the one sun-eye? In these terms I seem Ra as greater than the two eyes (sun and moon) having the moon and sun as body parts, in this case the eyes. I completely understand your confusion. This is just how I see it, the questioning side of me. Note: Everything in ancient mythology is much too complex to rightfully bring justice to in a simple blog post. I just pick the parts that interest me, and I tend to ask questions as well. The right question can bring you more knowledge than one (right) answer can, just how I see it. I wish that I could give more clarity. hmm.. Maybe I can, I am thinking of writing some posts that in each a different manner digs into the depths of the moon and how that Horus should not be confused with the moon, or vice versa. Horus is used to explain a mythological battle with his uncle, but it is Thoth that is the moon in a more realistic sense for them back then. Meaning, Horus and the gods were used to explain greater events, while in layman's terms they used Thoth to explain the moon as the time divider.